Kenya’s devolution process and constitutional reforms of 2010 means that Kenya’s counties, of which there are now 47, are directly responsible for a much greater amount of their local development. Some counties have integrated citizen participation in planning by embarking on an intensive annual participatory budgeting process, with support from the World Bank. But, in order to allow communities to directly plan and budget for development, counties realized that they needed better information about existing projects and features, best represented geographically. 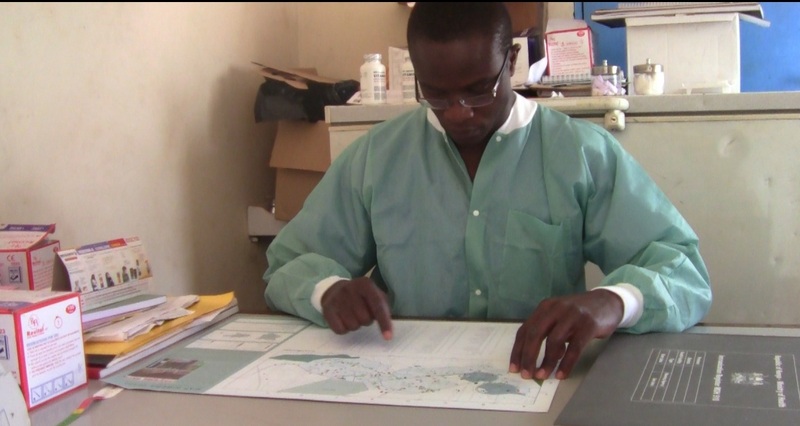 Many times, participatory budgeting (PB) groups were relying on memory or on hand-drawn paper maps of existing terrain and features in order to determine where they should place new water points, health centers, and other key new projects. 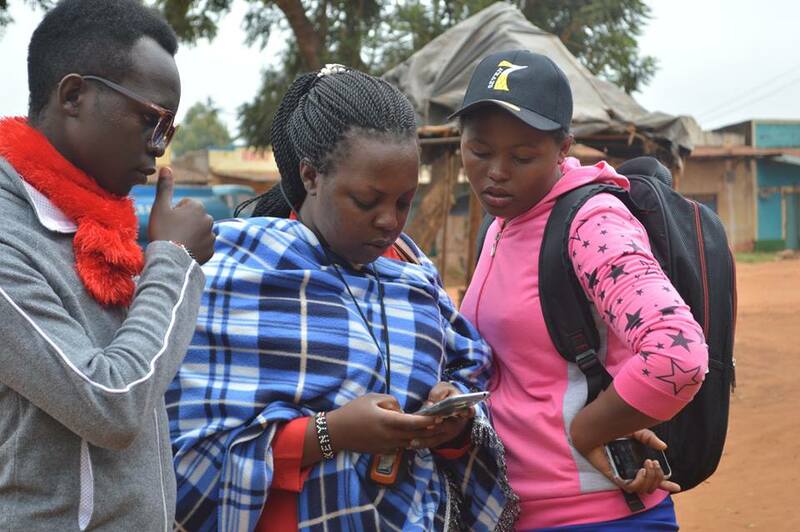 To help fill this gap, Map Kibera Trust, along with GroundTruth Initiative, have begun to work with two pilot counties, Makueni and Baringo, to create participatory digital maps with both citizen and county government mappers. Makueni has already been mapped in two pilot wards, including collecting feedback on county development project status and quality. Please see the maps here. 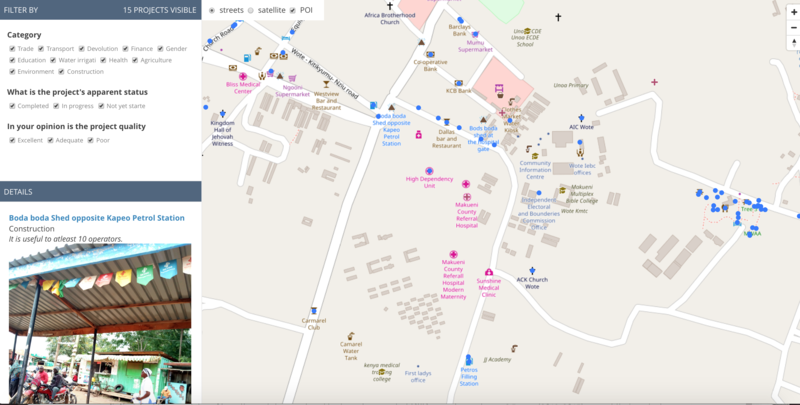 The base map data is, of course, gathered on OpenStreetMap – including various key features such as roads, shops, landmarks, schools, as well as the PB projects themselves. 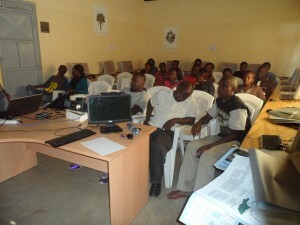 However, the mappers also collect project feedback information using Open Data Kit (ODK) and store it separately. The digital maps are then created using MapBox tools to combine them together. 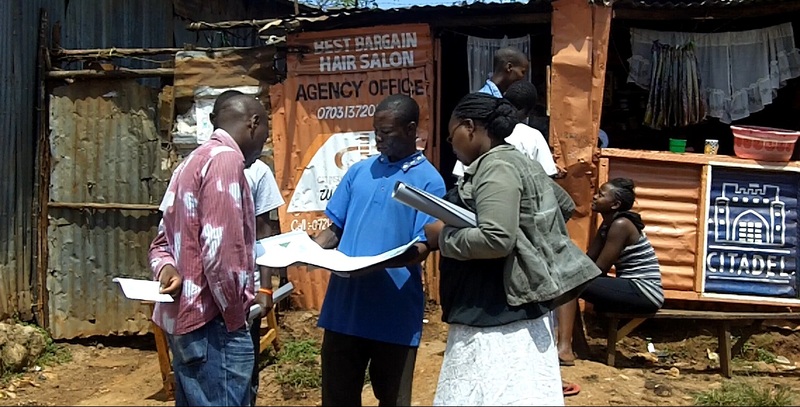 While mapping, participants mark whether the project is completed or not, whether it’s in good shape or poor, and add a sentence about the project’s quality or impact. We intend for this aspect to be updated regularly in preparation for the annual budgeting meetings, so that citizens can get a sense of how their intended projects are faring. Therefore, the map also allows those who take part in the budgeting process to see the extent to which the county is doing what they had intended. Each PB meeting will receive a printed map, so as not to have to rely on digital maps in locations with very little internet connectivity or even electricity. Mobile data collection using ODK in Mbooni ward, Makueni. 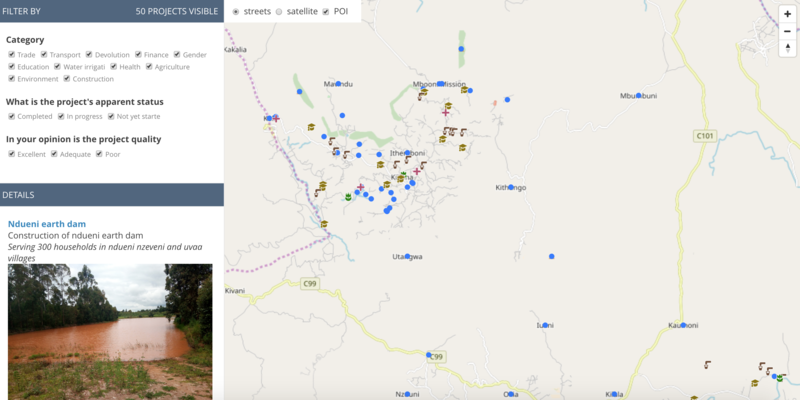 Check out this great video showing the mapping in Mbooni ward of Makueni county, also illustrating the challenges of working across rural terrain. 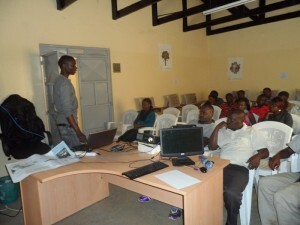 By engaging young residents of each locale, we hope to spread participatory mapping throughout Kenya, county by county. 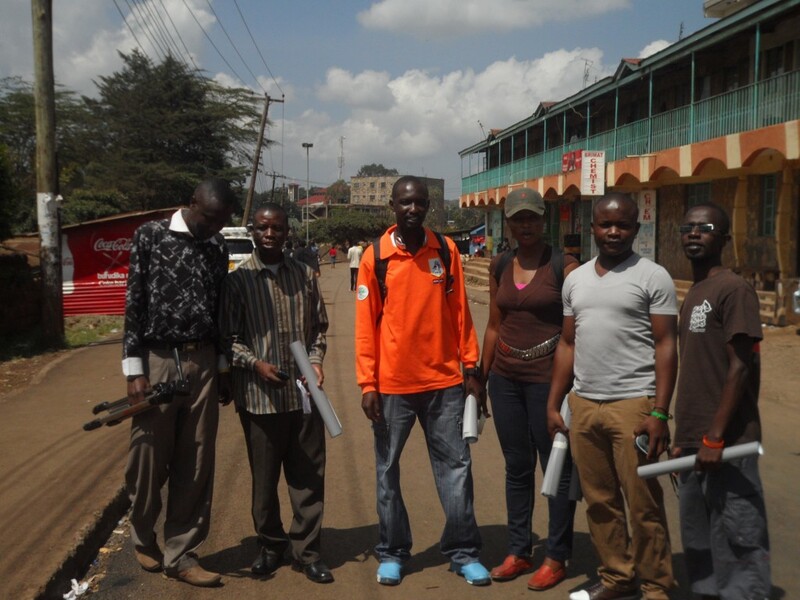 You are currently browsing entries tagged with accountabilty at Map Kibera.